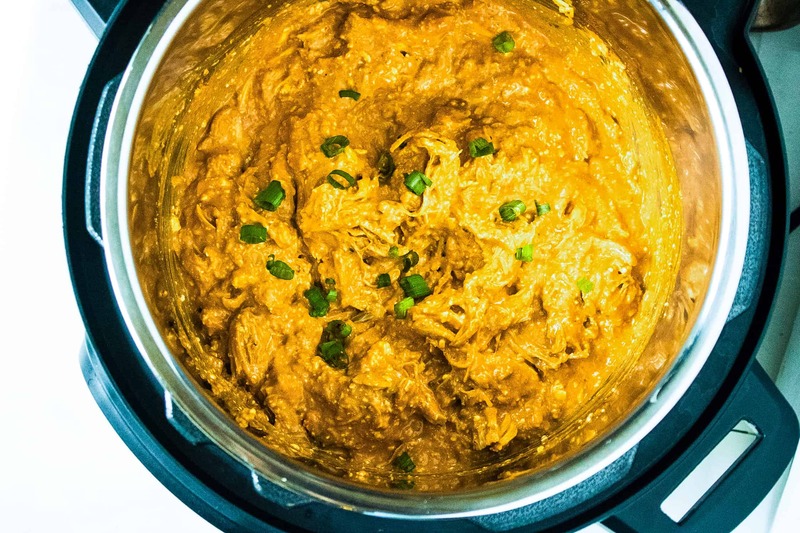 This Instant Pot Buffalo Chicken Dip recipe is packed with the spicy, tangy flavor of crave-worthy Buffalo Chicken Wings, but is so quick and easy to make! Buffalo chicken wings are one of the most popular foods around. And thanks to the Instant Pot, this recipe is quick and easy, so you can enjoy the great taste of Buffalo chicken in just 15 minutes. Plus, there are only 4 ingredients in this delicious Buffalo chicken dip recipe, and none of them have to be diced or chopped. 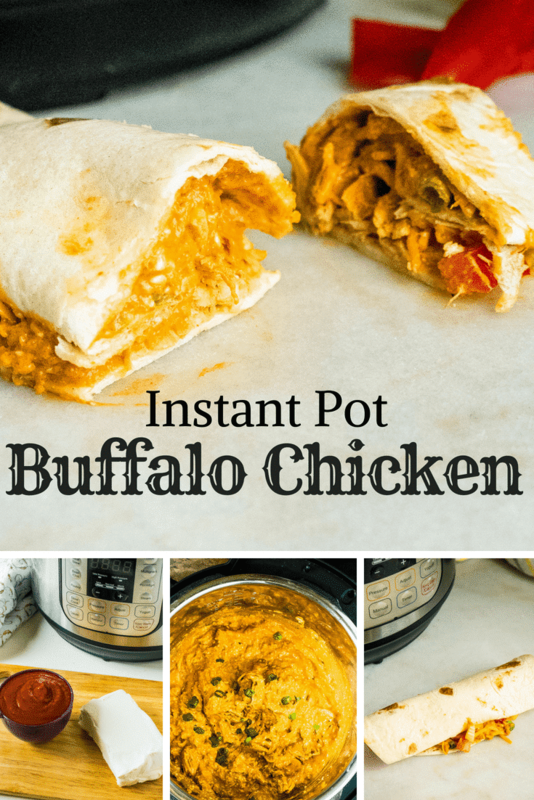 Simply add the ingredients to the Instant Pot set it and in 15 minutes you have an amazing Buffalo Chicken Dip with incredible flavor and a nice kick, thanks to the addition of sriracha sauce. 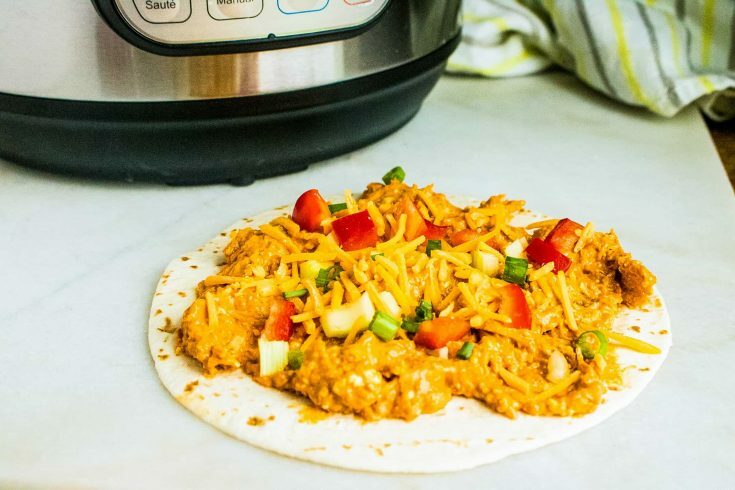 This Instant Pot Buffalo Chicken Dip recipe is super versatile. Not only is it the perfect appetizer for parties, barbecues, or tailgating at the big game, but it also makes a quick and tasty dinner entrée. Serve it on flour tortillas, hamburger buns, or try layering it with lasagna noodles and cheese for a fun twist on the Italian classic. Get creative! If you love the celery part of the Buffalo wing thing, then serve this dip with celery sticks, chips, and blue cheese dressing. There are so many possibilities. 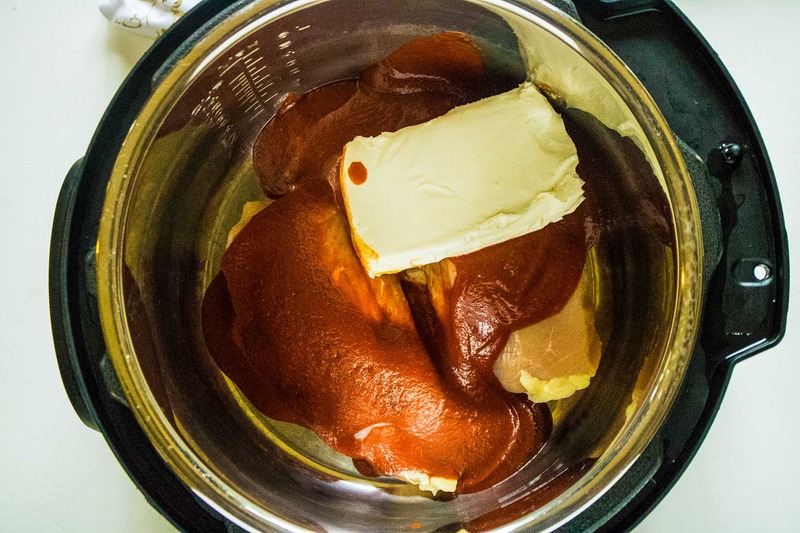 Instant Pot Swiss Steak is a quick way to make tender and tasty Swiss steak. Lay it on a bed of rice and pour on that amazing sauce. Whether you serve them as an entrée or a hearty snack; Instant Pot Philly Cheese Steaks are sure to be a hit. This incredible Instant Pot Chicken Alfredo Pasta recipe is creamy and delicious, and a perfect way to satisfy your pasta craving. Step #2: Close the lid on the pressure cooker and turn the valve to sealing position. Step #3: Set to a manual high time for 15 minutes. Step #4: When the cooking time has finished, do a quick release and shred the chicken. 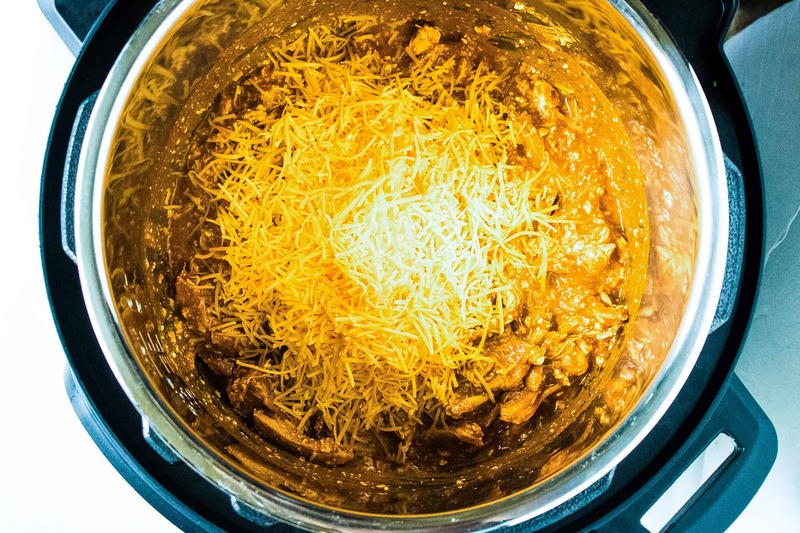 Add in grated cheese. Step #5: Mix the cheese and chicken together, top with green onions, and serve! 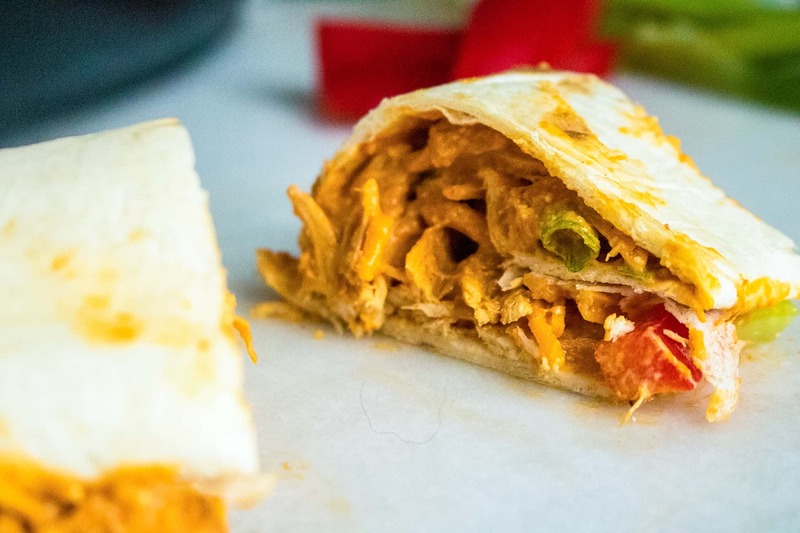 This recipe is so quick and easy, you can enjoy the great taste of Buffalo chicken in just 15 minutes!